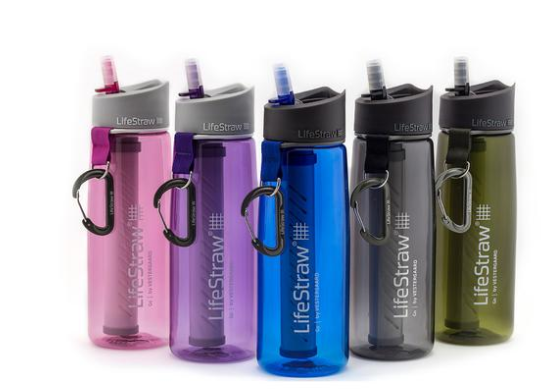 How does LifeStraw Go work? It uses hollow fiber micro filtration to mechanically remove contaminants down to 0.2 microns. Imagine really small tubes with even smaller pores, with LifeStraw Go, contaminants are trapped on the outside and only safe water can flow into the tubes. You just fill up the bottle and drink from the mouthpiece!